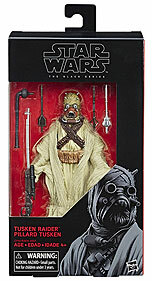 ← Shop Disney's Star Wars Toy Box Figures Up For Order! If you pre-ordered the “Guardians Of Evil” 4-pack from Barnes & Noble, they’re beginning to arrive. I received mine last night and JTA reader and friend Danny R. received his as well. Sponsor Announcement: Empire Toy Shop: Get Your IRGs! 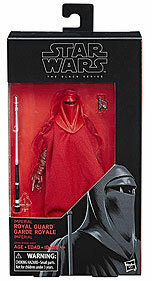 JTA sponsor Empire Toy Shop has just received plenty of Imperial Royal Guards in stock! Order yours today! I’ve been seeing them come in and out every few minutes. 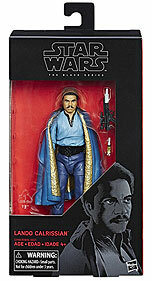 I know Qui-Gon and Lando are there now, but keep checking. 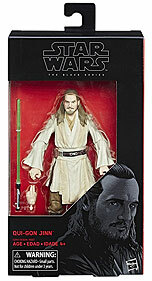 ← My TRU May Not Have New TBS Waves, But..
How did all of you make out pre-ordering/ordering wave 11 the last couple of days? There was a LOT of doubt from many who didn’t believe these would be avaialble in solid case packs like we confidently confirmed. But just like we advised, all figures were available in this format. I hope you all got what you wanted! This wave will hopefully get slaughtered on the aftermarket now. There have been plenty produced, so please don’t pay more than MSRP for these four figures (Qui-Gon Jinn, Imperial Royal Guard, Lando Calrissian and Tusken Raider).